Photo courtesy of Elaine Sauer. Each time I host #SirenChat, I’m reminded of the importance of connecting with people. People. Yes, people. Those moving, unpredictable organisms hidden behind screens. 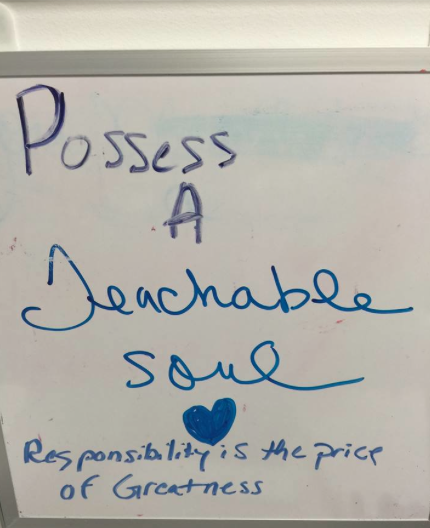 “Design Your Life” has been the theme of our weekly Twitter chat, and we’ve been talking about leadership, decision-making and mindfulness. And while I plan in advance the four questions I’ll pose during the hour-long chat, there’s always room for spontaneity. 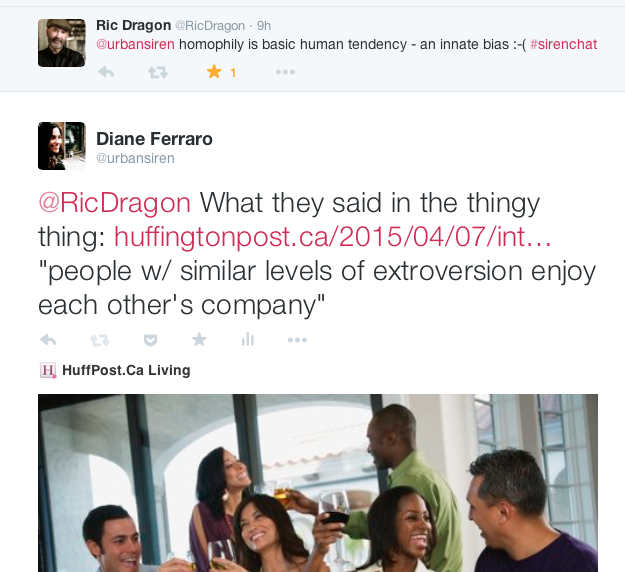 Q4: Are we experiencing homophily in a major way on #SirenChat? Read the transcript I created using TweetReach, including how many folks we potentially reached and a recap of the chat. Teaser of the transcript is below.
.@urbansiren is obsessed w/ #leadership + so am I. That’s why I’m at the next #SirenChat 4/15 12-1 pm EST. 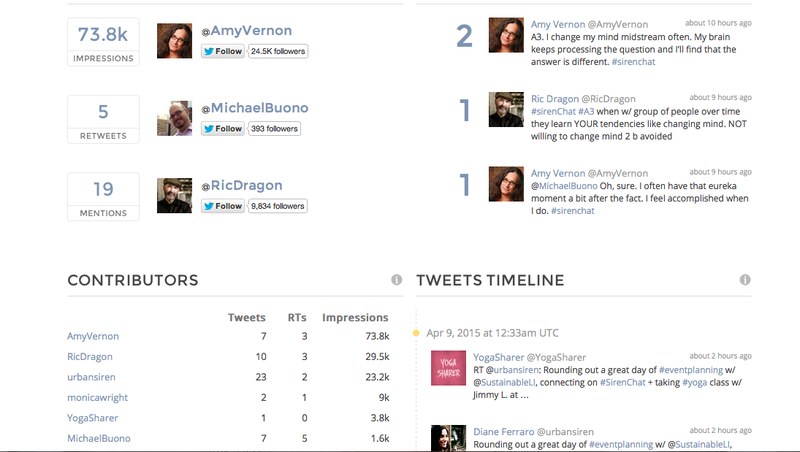 I discovered an online Twitter community that loves discussing #leadership + #integrity. 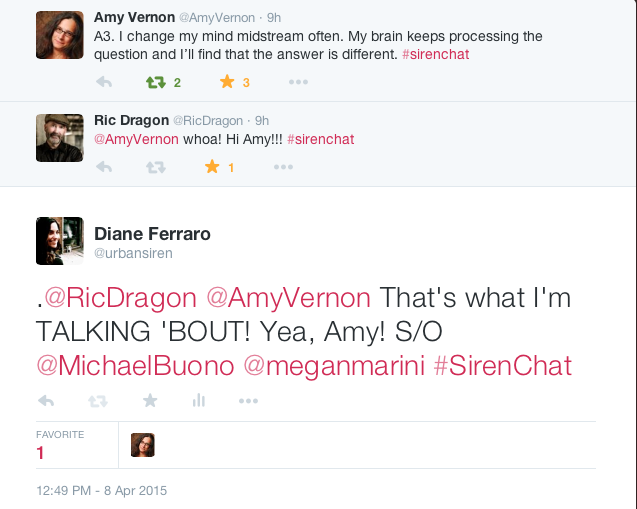 Join #SirenChat each Weds in April. Keep the conversation going until our next #SirenChat on Wednesday, April 15 12-1 p.m. EST by leaving your comments below and checking us out on Facebook, Instagram and Pinterest.